We are proud of our partners as we work with world-class companies to create our first-class products that strive for excellence and they think the same way we do. DENSO Corporation is one of the world’s largest car suppliers, located in Kariya, Japan. It is present worldwide, its Hungarian subsidiary was founded in Székesfehérvár, the fifth European manufacturing plant of the DENSO Group. DENSO Hungary Ltd. deals with the production of automotive components, reputable car and vehicle manufacturers, its customers are renowned car and vehicle factories. Thanks to their excellent performance they have become leaders in the European market. Knorr-Bremse in Munich is represented on all continents of the world with more than 100 headquarters in 30 countries. It counts among the world’s leading manufacturers of brake systems for rail and commercial vehicles, and today more than one billion people rely on Knorr-Bremse’s products and services. 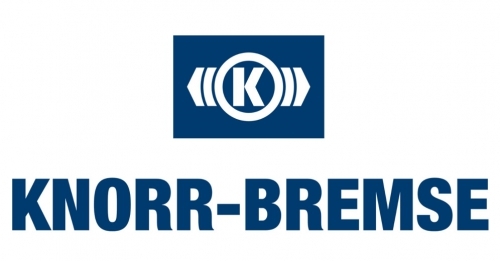 Knorr-Bremse Brakes Ltd. in Kecskemét carries out the production of commercial vehicle systems. In its product range includes drive chain, compressed air production, brake and rudder control, and wheel brake. The company is owned by TowerBrook Capital Partners L.P., employing over 1,600 employees worldwide. It deals with the manufacture and development of tow hooks, spheres, roof racks, windbreakers. ACPS Automotive Kft. Kecskemét is one of the most critical factory units of the company group, where the production and development of tow hooks take place primarily. The Neuman Aluminum Group is a global partner for high-quality aluminium solutions. There are over 3,000 employees in 17 production locations worldwide. Their aluminium components can be found in the automotive, packaging, tram, construction and machine industries as well as in pyrotechnics. With over 400 employees in Metzingen, Sauter Feinmechanik GmbH has become a global, modern, high-tech company in the past decades. There are Know-how and many years of experience behind the company. It offers a wide range of tools, tool holders and modular quick-change systems, as well as developing specific manufacturing tasks. There are a number of patented device systems associated with their name. The world’s leading CNC lathe maker is the INDEX Group in Esslingen. 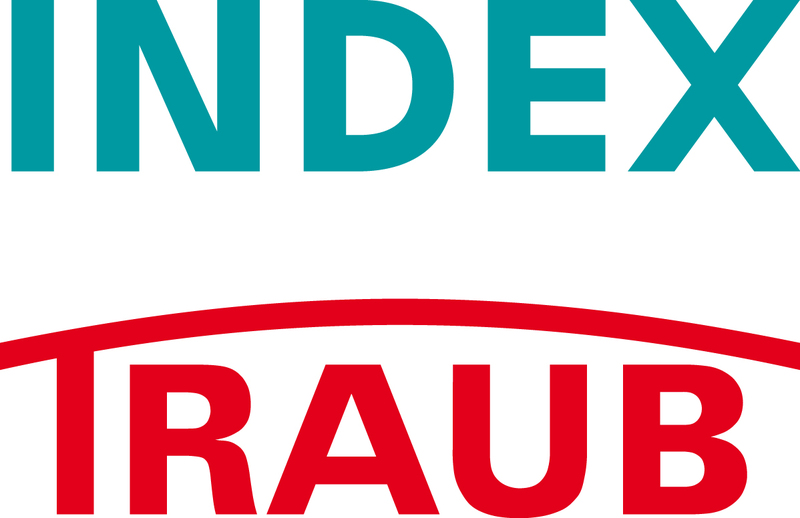 Their well-known brand names are INDEX and TRAUB. They are also present in the automotive, electrical and electronics industries and in recent years in medical technology and space research. The strength of the INDEX Group lies in providing the best manufacturing solution for its customers and it has a key role in know-how, research and development. The Esslingen-based FESTO Worldwide Group of Companies, with 59 independent companies, has more than 250 offices and 39 independent reputacies. It is a leader in the development and production of industrial automation systems. Its Hungarian subsidiary, Budapest FESTO-AM, became the third largest production base of the Group. They produce compressed air preparation units, vacuum generators and state of the art safety switch valves. They produce another devices too, like proportional regulators, cylinders, and customer-specific products. In the 1300 m2 warehouse of Schmolz & Birkenbach Hungary Ltd., Budapest stores 600 tons of steel products. Their relationship with Schmolz & Birkenbach Distributions GmbH, based in Düsseldorf, allows customers to reach their entire range of products within a short time. In addition to the traditional product range, contains seamless steel tubes, spools, welded tubes, hollow sections, plates, aluminium rods and plates. Cometal Metallhalbzeuge GmbH, located in Weinstadt, specializes in the trading of aluminium rods and pipes. The Hungarian Representation of Cometal GmbH is located in Budapest. Their main activities are the distribution of Hard and semi-hard, lead-free, ROHS compliant, Stanal, Perunal, Constructal aluminium, lead and silicon alloys. STAPPERT Hungary Ltd. is one of member of the STAPPERT group of companies. 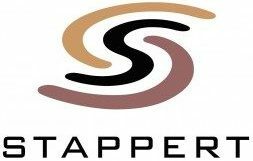 STAPPERT is a leading company in Europe with a large inventory of stainless steel plates, rods, pipes and tube accessories. The Budapest company sells 20,000 products of different sizes and shapes in more than 40 different materials. WALTER AG‘s has 33 subsidiaries and several distributing partners in Tübingen, They guarantee the worldwide presence of the company on all continents. It is present in the automotive, aerospace and aerospace industries, machinery manufacturing, the energy sector and the rail transport sector. Walter has wide range of products, Walter offers several kind of services to the metal industry. The company group is represented by WALTER Hungária Ltd in Budapest. The German WNT Group supplies precision tools for the cutting industry. With its optimized services and unsurpassed product quality, WNT is an ideal source of supply for cutting companies. Germany-based WNT operates successfully in 19 countries around the world, a member of the CERATIZIT group, which belongs to an international group of nearly 6,000 people worldwide. Its subsidiary, WNT Magyarország Ltd. is located in Budapest. The Rother Metal Ltd. in Győr has demonstrated in the past that they have succeeded in competing in the quality tools market. Through their state-of-the-art technical colleagues, they are at the service of their partners as quickly and comfortably as possible throughout the country. Its most important supplier is SARTORIUS Werkzeuge GmbH & Co. KG, Germany, which delivers more than 20 countries and represents a very high quality in the field of metalworking and cutting tools. Budapest GRAFKER Ltd. sells machines from Schiess GmbH – CNC machine tools, machining centers, and distributes cutting tools, 3D optical and tactile CNC measuring machines, measuring instruments, measuring instruments and accessories. The company operates a nationwide network of technicians and has a huge inventory of almost every demand. Major investments are the demonstration and training of manufacturers’ measuring machines. Deutsche Leasing Hungaria in Budapest is a member of the German Deutsche Leasing Group, representing over 2000 staff in more than 20 countries. The share company is one of the largest and most efficient financial organizations in the world. Deutsche Leasing is present in the construction, metal, printing, forwarding and logistics facilities as well as in the agricultural machinery sector. The IKB Leasing Group is mainly helping small and medium-sized enterprises. 14 leasing companies are present in 10 European countries, one of their subsidiaries is IKB Leasing Hungaria in Budapest. As a machine leasing specialist, it provides financing services for the manufacturing and manufacturing industry investment. Ober Leasing Private Limited Company primarily offers competitive solutions for small and medium-sized companies and retail customers. Owned by the Austrian Oberbank AG with Austrian, German, Czech, Hungarian and Slovak branches. The parent company has 140 years of financing experience, extensive networking and excellent refinancing opportunities. The Ober Leasing Center is located in Budapest. PneuPlus Ltd. in Pécs provides comprehensive care for companies. They complete maintenance of the machines, equipment, component supply, counselling and, if required they hold training. Its main activities include the distribution, maintenance, repair and sale of pneumatic components for compressors, air tanks, compressed air and waste heat recovery equipment, consultancy and installation. The Forró Drót Ltd. in Pécs deals with the design, installation and operation of modern low power systems. They are present throughout the country – in industrial and agricultural facilities, state, municipal and financial institutions, office buildings, department stores, historic buildings. Fire and security systems are designed to protect as many human lives, intellectual and financial resources as possible. The main profile of Elektro-Uno Kereskedelmi és Szolgáltató Limited Partnership. which located in Pécs is the wholesale and retail trade of electrical materials, design and production of power equipment. Its stores and sites can be found in several locations of the country, including Pécs, Dombóvár, Komló, Budapest and Nagyatád. NanoworX Ltd. in Pécs offers process management and process control solutions for production companies and unique applications with state-of-the-art technologies. Their clients are world companies, small businesses and individuals. They want to play a decisive role in the region and in Hungary. Duplex-Rota Ltd. in Pécs is a family business based on printing services. Thanks to their continuous development, they are already represented in Budapest. Their range of services is expanding every year, the average age of their machine is less than 5 years. “Heidelberg and Ricoh” digital printing machines were first installed in Hungary, so in addition to ofszet technology, digital printing is already available in high quality. The Controlsystem Industrial Automation and CNC Service Ltd. in dunaharaszti has been developing continuously since its inception, and it is major player in the CNC machine tool market. Their main activity is the complete renewal of CNC machines from electrical design, electrical installation to commissioning. They supply a complete CNC package, as well as used and new DC, synchronous, asynchronous motors, drives at all power levels. The company has two sites in Budapest and Baja.